With London having such an out of body experience, aka a hot summer, my friend and I decided that a trip to the sea was just what we needed to escape the heat of the city. 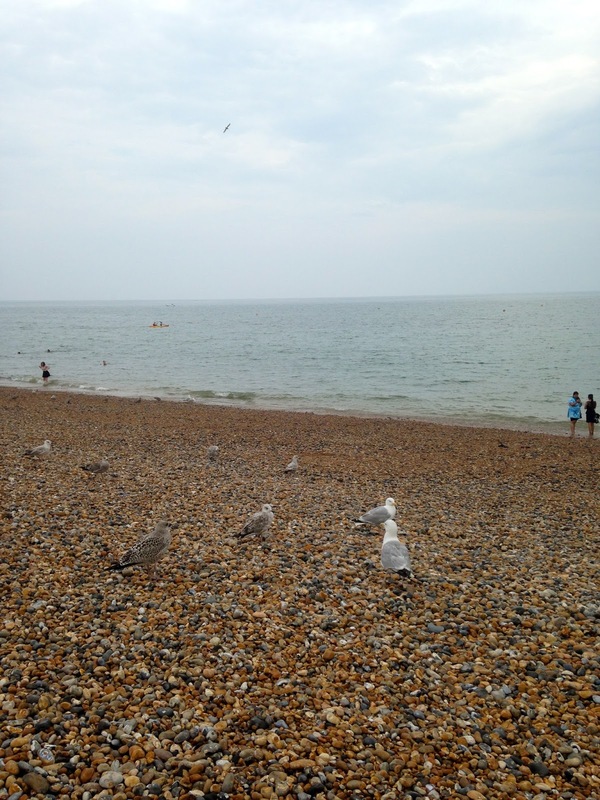 We hopped on a train from Victoria station and took the one hour ride to Brighton on the coast. As soon as we stepped off of the train we remarked how the temperature was at least ten degrees colder than London, thank goodness for that sea breeze! 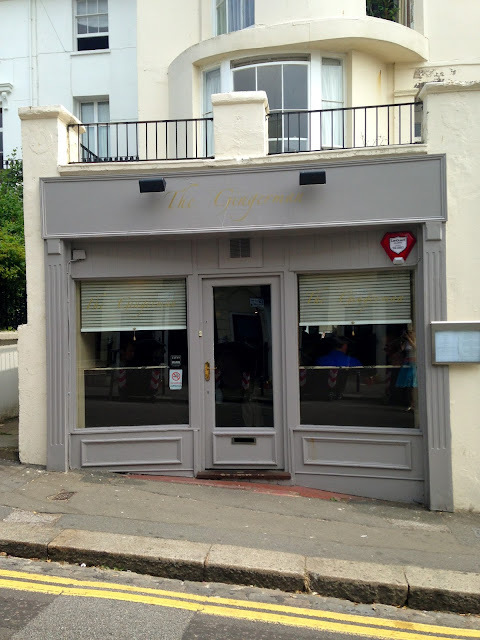 We were told that the best restaurant in Brighton is the Gingerman, but sadly it was entirely full and as we arrived at 2pm, there were no further seatings for lunch. Definitely make a reservation here, the food looked delicious. 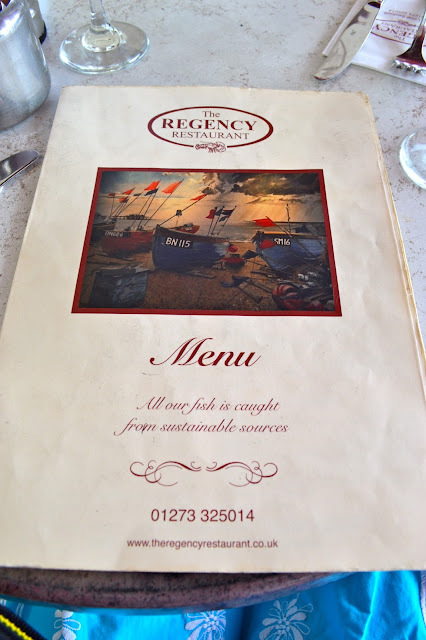 We settled instead for a well-known seafood restaurant right along the water called the Regency Restaurant. They have every fish imaginable and everything is locally caught. We polished the fish off with a bottle of Sauvignon Blanc and then dove into the very extensive dessert menu. One rhubarb crumble soaked in yellow custard and one banoffee pie ... delicious! After lunch we had a nice stroll on the beach. There are lots of bars and restaurants, many with live music, amusement rides, small shops and a long stretch of boardwalk. 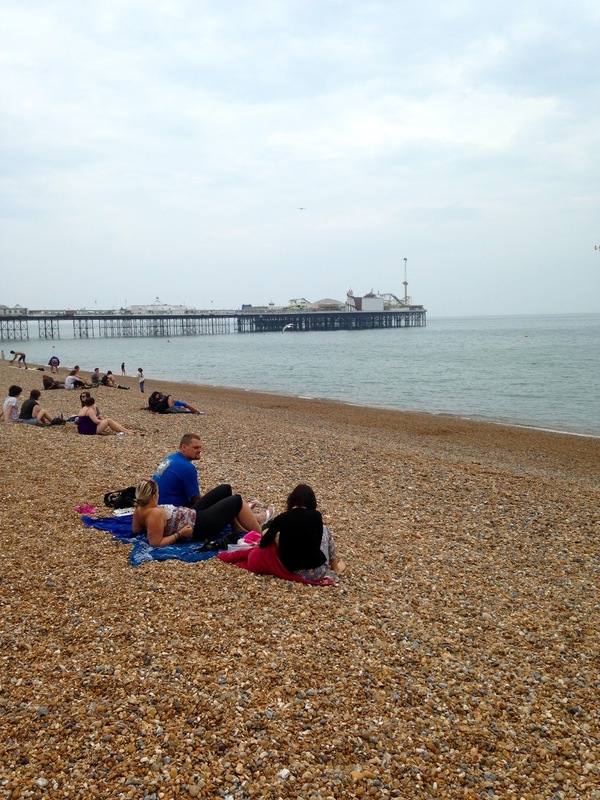 Brighton is a lovely day trip from London, and even when the weather doesn't cooperate, there are ample restaurants, pubs and lots of shopping on the high street to keep you entertained.